The video below shows the rehab and grand opening of 73 S. LaSalle St., the new headquarters for Emmanuel House and World Relief. World Relief settles refugees in the U.S. and Emmanuel House works to break cycles of working class poverty through home ownership, education, and equitable business and community development. The new headquarters is a landmark step enabling these two organizations to do even more. Links to websites for both organizations, plus more, appear below. ♦ In 2016 Emmanuel House was named one of the “Top 100 Most Innovative” social change organizations in the world. Read that story HERE. Emmanuel House bought the property in 2012. Rehab began in late 2013, and upon completion in May 2014, World Relief moved in to share the space, bringing the relationship between the two organizations to a new level and completing a remarkable circle the two groups began following a decade ago. In the future a link below will take you to a post and short video telling more about the Emmanuel House-World Relief partnership, naming more of the many people who have contributed to Emmanuel House, and serving as a portal to a collection of amazing stories of survival and persistence. 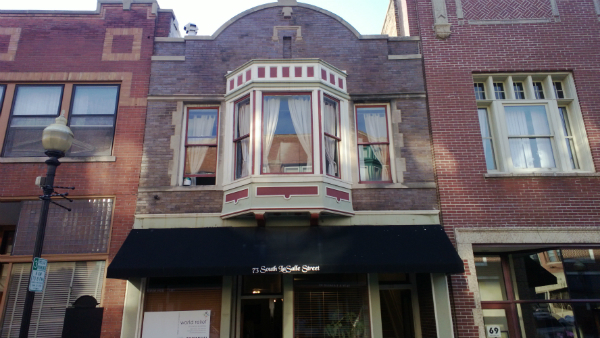 In addition, the article HERE details how Emmanuel House’s purchase and rehab of 73 S. LaSalle is also leading the way to revitalizing an entire historic part of downtown Aurora. The Emmanuel House website gives you ways to get involved, donate, and invest. The World Relief website does likewise. 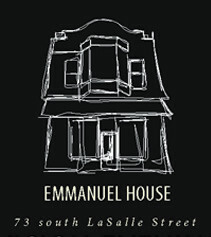 The Emmanuel House-Bryan House main page on this site chronicles the history of these two organizations—living memorials to Bryan Emmanuel Guzman co-founded by Rick and Desiree Guzman—and provides links to articles, videos, photos, and a memorial booklet. The Social Change main page of this site provides links to other projects and organizations trying to make a difference. 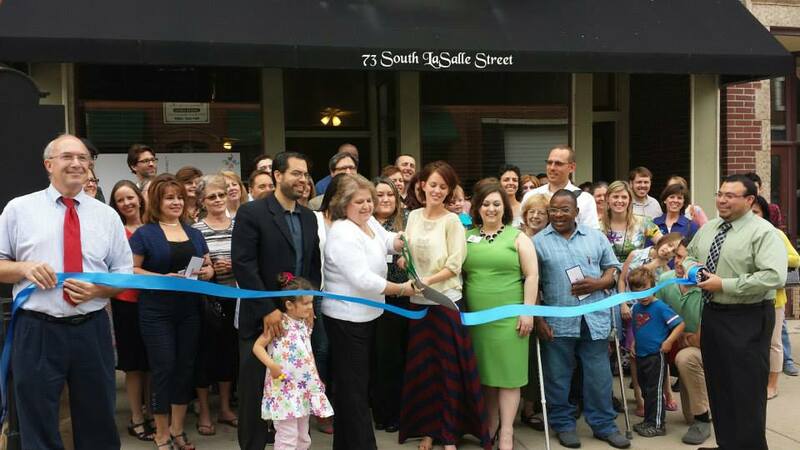 This post on the Grand Opening of the headquarters on May 22, 2014, conveys some of the ups and downs and ups of the rehab process. Music by Dan Guzman (with Bryan and Justin). Hear more of Dan’s music. Thank you to everyone who has donated, volunteered, promoted and prayed for Emmanuel House, World Relief, and the people they’re privileged to serve. This entry was posted in Music & Media Podcasts, Social Change and tagged Bryan Emmanuel Guzman, Bryan House, Dan Guzman, Emmanuel House, World Relief Dupage-Aurora. Bookmark the permalink.